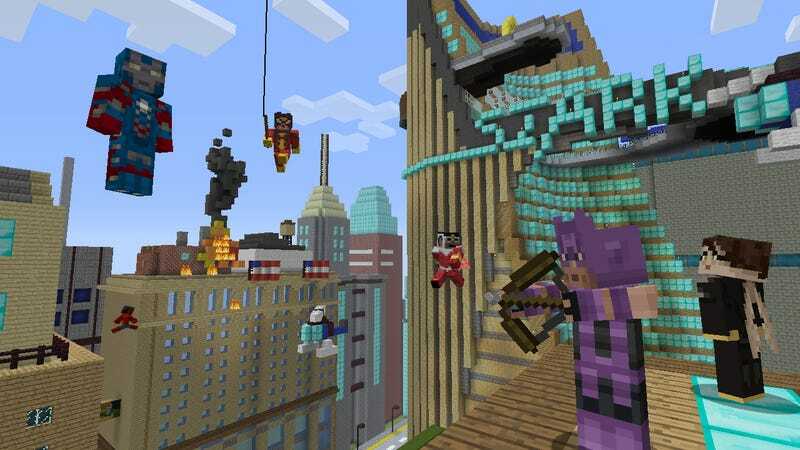 Marvel, Mojang and Microsoft are teaming up to deliver an official Avengers Skin Pack to the Xbox 360 version of the popular block builder. The pack, coming soon, will feature 35 character skins, including Captain America, Iron Man, Hulk, Thor, Nick Fury, Black Widow, Hawkeye, Loki, Wasp, Falcon, Vision, Maria Hill, Agent Coulson and more. — Updated with screens.